Taking place in New York from 28-30 November 2018, the upcoming annual Global South-South Development Expo will play an important role in the preparation for the Second High-level United Nations Conference on South-South Cooperation (BAPA+40 Conference) in March 2019. In this context, the ILO contributes to the Expo with a thematic solution forum (28 November), showcasing the good practices for Decent Work on the organisation’s Flagships Programmes and cross-cutting policy drivers. A milestone event in the history of South-South and triangular cooperation (SSTC) in the UN was the first UN Conference on Technical Cooperation between Developing Countries (TCDC), which was held in Buenos Aires, Argentina in 1978 and adopted the Buenos Aires Plan of Action (BAPA), a robust framework of recommendations for Promoting and Implementing TCDC at UN and its member states. Marking the fortieth anniversary of the adoption of the Buenos Aires Plan of Action, the United Nations General Assembly resolutions 71/318 and 71/244 mandate the UN to convene a Second High-level United Nations Conference on South-South cooperation (BAPA+40). The Conference will be hosted by the Republic of Argentina in Buenos Aires from 20 to 22nd of March 2019. Organised by the United Nations Office for South-South Cooperation (UNOSSC) in collaboration with United Nations agencies and other partners, this year Global South-South Development Expo (GSSD Expo) will marks 10 years since its inception in 2008, and serves as one of the last major opportunities for stakeholders including Member States, UN entities, academia and civil society to come together before the BAPA+40 Conference. 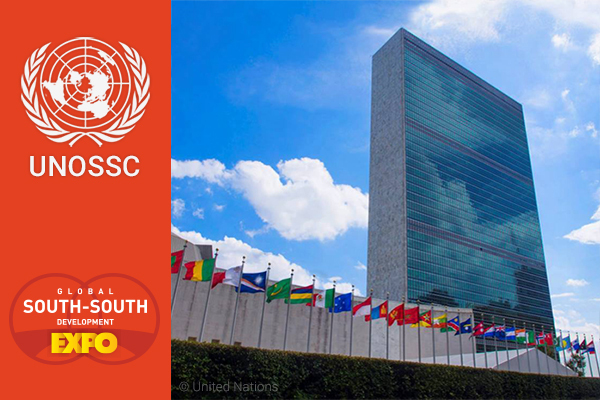 Take place in New York from 28 to 30 November, the GSSD 2018 will tie in closely with BAPA+40 by the theme of “Showcasing Institutions Supporting South-South and Triangular Cooperation in Preparation for the Second High-level United Nations Conference on South-South Cooperation (BAPA+40”. Specifically, GSSD 2018 will provide a platform for all development partners and stakeholders to showcase development solutions, celebrate South-South and triangular cooperation (SSTC) successes, share knowledge and lessons learned, and develop new collaboration and partnership. The ILO has been actively involved in the GSSD since 2009 and hosted the 2010 Expo at ILO Headquarters in Geneva. This year, in line with the Governing Body’s agreement (March 2018) on the future SSTC steps to expand ILO’s active role in UN inter-agency processes that involve SSTC, and to contribute to the preparation of BAPA+40, the ILO is organising a Solution Forum on the second day of the GSSD (28 November). The solution forum aims to showcase the good practices and the latest contribution of SSTC for Decent Work on ILO Flagships Programmes and cross-cutting policy drivers, as well as to share and discuss the lessons learned from the application of SSTC in real practices. With the participation of ILO’s expert partners, the solution forum will discuss the following projects: (1). “Regional Initiative Latin America and the Caribbean Free of Child Labour: New South-South trends” (2). “TRANSFORM -Leadership and Transformation Curriculum on Building and Managing Social Protection Floors in Africa” (3). “Increased employment creation and opportunities in the Mano River Union through entrepreneurship training, business development services, and labour-Intensive Infra”, and (4). “Peer Learning Seminar on a Just Transition and Climate Resilience in Samoa”. Visit also the Thematic Subspaces for ILO’s South-South and Triangular Cooperation activities in the Global South-South Development Expo.